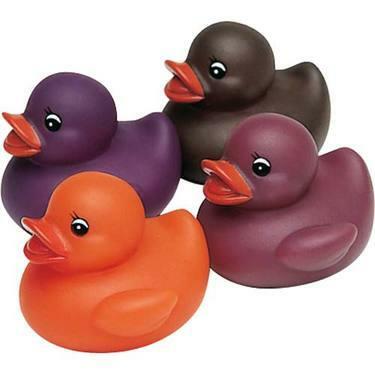 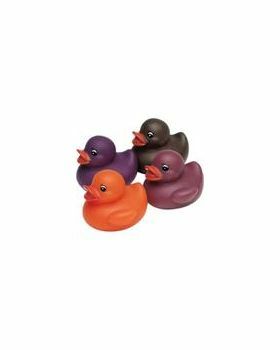 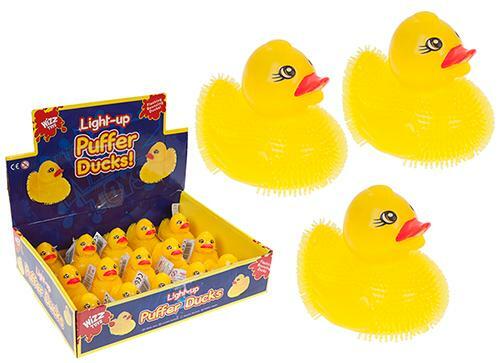 These brightly coloured little rubber ducks are approx. 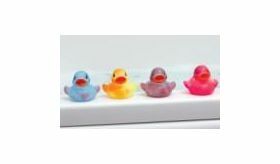 3" long, 2.5" wide and 2.5" high and great fun for bath-time. 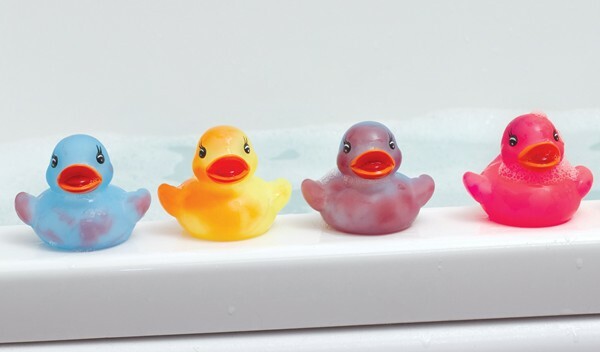 Textured sides make this lovely to hold and less slippy than a standard bath-time duck. 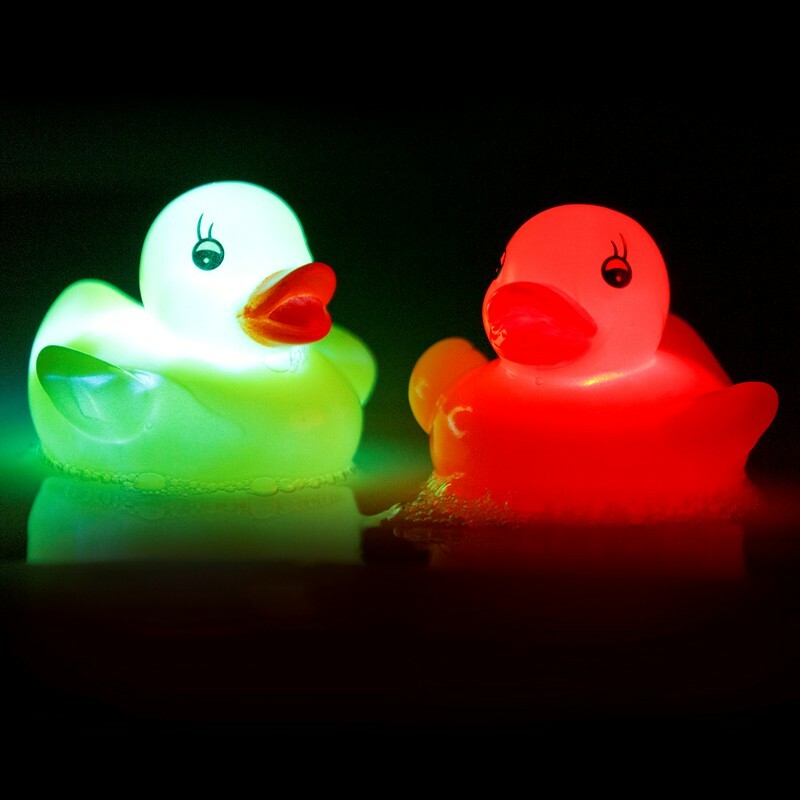 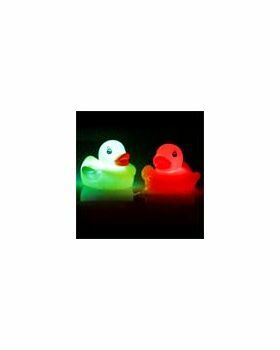 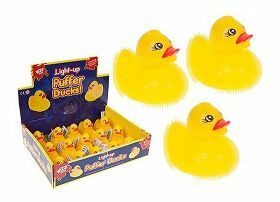 Just tap the duck and it flashes for 10-15 seconds as it bobs along on the water.